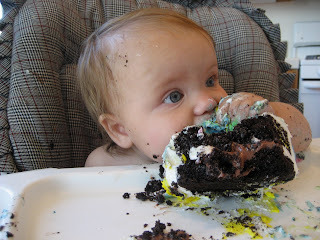 First birthdays are always so much fun! 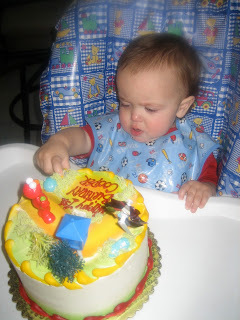 He LOVED his cake and would have kept eating and eating. cake, but he didn't like getting dirty. 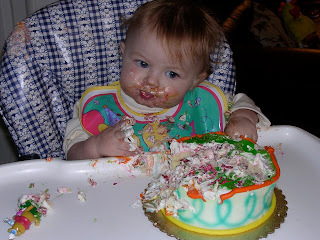 Emma has always been the eater in the family. 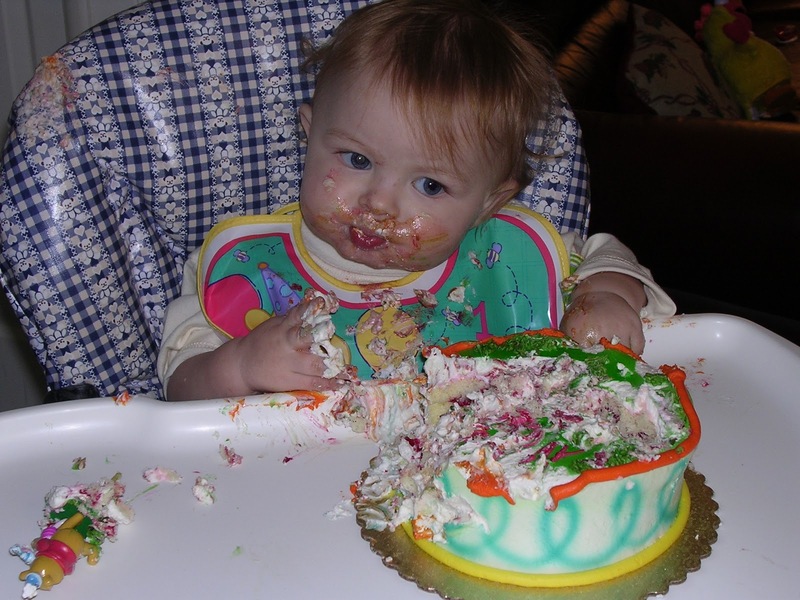 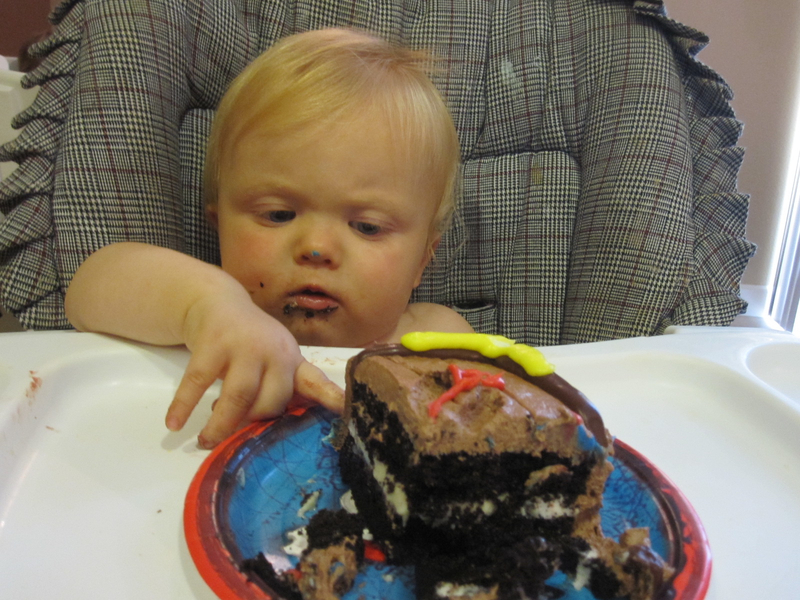 Parker loved playing with his cake, just one finger at a time though.